Q: What is a brain-computer interface? A: A brain-computer interface (BCI), also known as a brain-machine interface, is a system that allows a person to control a computer or other electronic device using only his or her brainwaves, with no movement required. Q: What is BCI used for? A: BCIs can be used for communication, computer access, or control of devices such as a wheelchair or prosthetic arm, among other applications. Virtually anything that can be controlled by a computer could, potentially, be controlled by a BCI. BCI is being examined as a rehabilitation device to help people re-gain motor skills that are lost from stroke, as well as a prosthetic device to replace or compensate for motor skills that will never return. Q: What does BCI look like? A: There are basically two types of BCI systems: invasive and noninvasive. Invasive systems require surgery to implant electrodes on or near the surface of the brain. Most noninvasive systems use electrodes placed on the scalp, usually held in place in a cap that looks like a fabric swimming cap. Noninvasive systems cause little or no discomfort, although most currently require the use of conductive gel which must be wiped or washed out of the hair after use. The electrodes, whether invasive or noninvasive, are connected to a computer (usually through an additional hardware component about the size of an external hard drive). The brain signals that are picked up by the electrodes are sent to the computer, which uses sophisticated software to translate the brain signals into computer commands. Q: How does BCI work? A: Many people imagine that BCI will allow them to simply think of a word or phrase and have it appear on the screen, or control a wheelchair by thinking about where they want to go. Unfortunately, this is not the case with current BCI technology. There are a variety of types of BCI systems, and each one works a little differently. Most BCI spelling systems display a series of letters, either one at a time or by highlighting letters in a grid. When the letter you want lights up, your brain wave changes. The computer looks for that change and interprets it as a 'keystroke'. For example, if you wanted to type the letter A, you would focus on the A and count each time it flashed, or think “Yes!” when you saw it appear on the screen. Recognizing the A would trigger a spike in your brain signals, which would be detected by the BCI system. Usually, each letter must be ‘selected’ multiple times, so typing with a BCI is quite slow. Systems designed to control a computer cursor often rely on movement imagery. You would imagine squeezing your right hand to move the cursor to the right, and your left hand to move the cursor to the left. Q: Can BCI technology read or control my mind? A: No! All BCI systems require conscious effort from the user to type a message or move a computer cursor. BCI technology will not read your mind or share your private thoughts with others. In addition, BCI cannot be used for mind control. The electrodes are simply sensors that detect brain activity, and cannot send thoughts or commands into the brain. The user controls the computer, not the other way around. Q: Who can use BCI? Q: Are BCI systems available through insurance or private purchase? A: Most BCI systems are still in the research and development stage, and are not available for purchase or independent home use. At this time, there is only one commercially available system, intendiX from g.tec (www.intendix.com). If you are considering purchasing intendiX, or any assistive technology, it is highly recommended that you try it out in your home first to make sure it works for you and meets your needs. BCI technology is quite expensive, and is not yet covered by Medicare, Medicaid, or any other insurance provider. Q: How can I get involved in BCI research? A: There are several BCI research labs around the U.S. and around the world, and some are conducting trials involving people with ALS and other conditions. If you are interested in being part of a BCI research study, you might contact one of the research labs listed below or ask your neurologist, assistive technology specialist, or other healthcare team members if they are aware of BCI research taking place in your area. You might also try a Google search for “brain-computer interface” and the name of your city or a nearby research university. Q: What does the future hold for BCI technology? A: BCI technology is constantly changing. The future will bring faster, more reliable BCI systems that work for more potential users. Hardware will improve with wireless electrode connections, and with dry electrodes that eliminate the need for conductive gel to be applied to the user’s head. Software will provide new options for typing and speaking messages; using the internet, email, and social media; creating artwork; safely driving a wheelchair; controlling door locks, light switches, entertainment systems, and other features of the home; and much more. It is hoped that the cost of BCI will decline as it becomes more widely used, and that insurance carriers will eventually cover it as an assistive technology. Since this technology is being developed for a much larger market than those with neurological disease, in the future we will see BCI devices available for many computer functions. 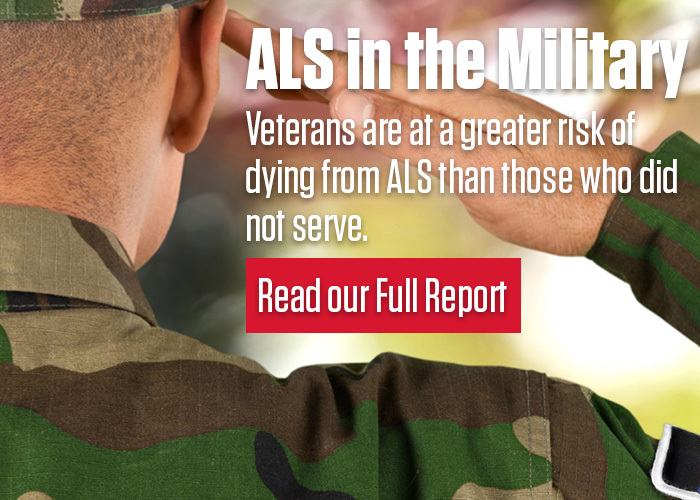 The ALS Association thanks and acknowledges Betts Peters, M.A., CCC-SLP and Melanie Fried-Oken, Ph.D., CCC-SLP from the Oregon Health & Science University, Institute on Development & Disabilities, www.reknewprojects.org for sharing their time and expertise on this factsheet.